Fantasist Enterprises has posted samples of the inside artwork for the Sails and Sorcery: Tales of Nautical Fantasy anthology. Alas, the art for my story "The Islands of Hope" isn't up, but I was able to preview the illustration and Julie Dillon captured the essence of my story perfectly. I can't wait to see the words and art together. 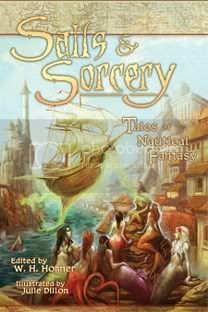 Sails and Sorcery will be released in August 2007, but is available for preorder now.